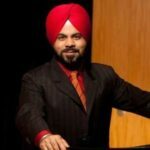 Roop Singh is the Founder and Speaker of Intuit Factory. He is an experienced business transformation leader, trainer, and speaker with demonstrated proficiency in aligning strategy with processes to drive innovation. Intuit is a multi-disciplinary team bringing in a diverse set of techniques, philosophies, and models to navigate your Blockchain journey. Intuit Factory is not your run-of-the-mill consulting firm. They combine deep business insight with an expert understanding of how this technology will impact and drive new business models. Leveraging their years of expertise in business process transformation, they now guide you on how to leapfrog into the future using Blockchain. 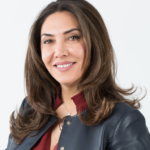 Susan Akbarpour is a media guru, product designer, entrepreneur, and investor. She has over 30 years of hands-on experience in building innovative products and businesses in technology and media. She is currently the CEO and Co-Founder of Mavatar, the company she founded in 2011 based on her research in graduate school, soon after receiving her MS in Management from Stanford University in 2010. The marketplace and shoppable content publishing solution provides retailers and media companies with a new way to measure impact at the convergence of data intelligence, content, and consumer-centric commerce. Susan’s recent mission is leading her world-class team to create a Decentralized Attribution Protocol that combines advanced blockchain technology and a fresh approach to Basket Shopping and Influence Marketing to address the lack of transparency and trust in the retail marketing value chain. Susan is also a general partner at Candou Investments, member of the board of directors at IMA International Executive Council and VOMax Corporation, member of Stanford Business School Alumni Association, Stanford Women On Boards, a prestige member of Watermark (a nonprofit organization that is a community of executive women), a contributor writer to Forbes and an official Member of Forbes Agency Council. Susan recently joined the advisory board of Trustroot just in case you like to add it. Trustroot is an open protocol for decentralized identity verification and reputation management for blockchain participants. 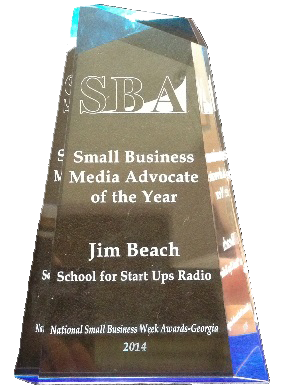 National Small Business Week takes place to honor the contributions by small business and entrepreneurs, you know us! It’s the perfect time to talk about innovations and technologies small businesses can tap into to ensure continued success. There are two strategic recommendations that Verizon Business Markets Group Vice President and General Manager Scott Peterson encourages businesses to consider in order to maximize their operations and improve their customer’s experiences: Research and plan ahead and Incorporate new technologies where appropriate. Scott is the Verizon Business Markets (VBM) Vice President responsible for in-region revenue growth, a $2.3B annual service portfolio. VBM’s in-region customers span businesses with 1-300 employees. VBM serves customers’ communication needs with voice, data, TV and other integrated technologies.